You might want to catch my essay, “Don’t Read While Hungry,” in Mystery Fanfare’s Culinary Crime: I issue! Kensington Publishing is featuring my recipe for Apple Almond Cake! I can vouch for its deliciousness. 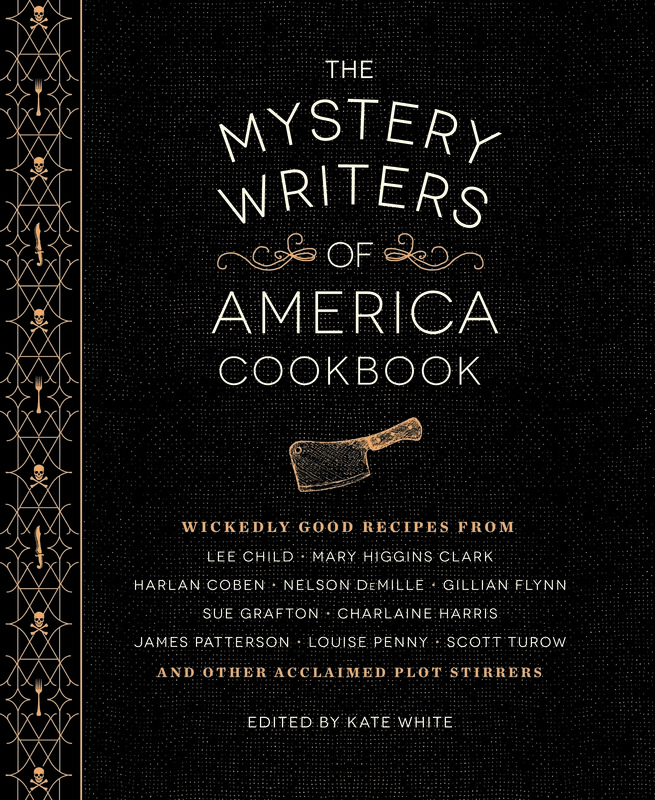 I’m so excited to have a recipe in the fabulous Mystery Writers of America Cookbook. You’re definitely going to want to get a copy. My recipe is just opposite Hallie Ephron’s. Recipes by Lee Child, Sue Grafton, Katherine Hall Page, Barb Ross, and Joe Finder are in there, and many more. Really. You definitely need to pick one up. Plus – an explanation of what a red herring actually is! Perfect for a cold winter’s day. Serves six or more. In a large Dutch oven or soup pot, add three tablespoons of oil and saute the onion until translucent, then add the celery, carrots, and pepper and saute until soft. Add the garlic and saute for an additional two minutes, being careful not to let it brown. Add the chicken and saute until lightly browned. Add the stock and parsley to the mix, bringing the stock to a boil. Add the rice and reduce the temperature to a simmer. Float the habanero on top. 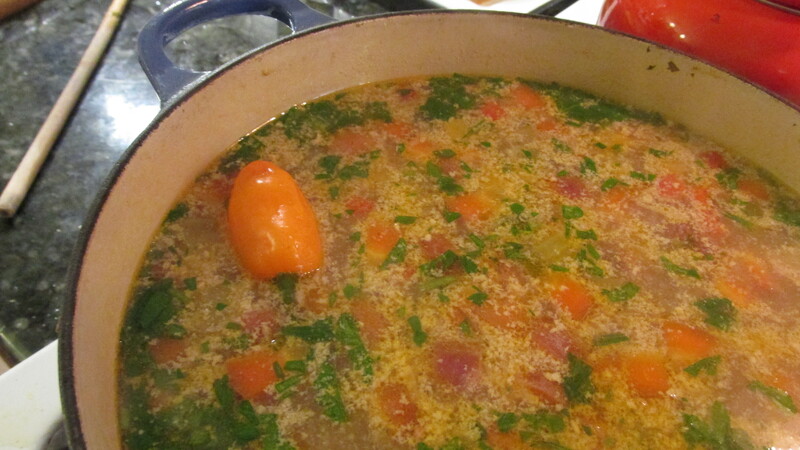 Simmer until the rice is cooked and the flavors melded. Add other herbs of your choice, salt and pepper to taste, and a dash of hot sauce if you like. Remove the habanero and serve whole in a small dish with two spoons. Those who like it hot can squeeze the juice into their own bowls. Serve the soup with a green salad and crusty bread or cornbread. The following two recipes were inadvertently left out of the hardcover edition of A Tine to Live, a Tine to Die, which opens in early June. These are recipes Cam provides to her shareholders. 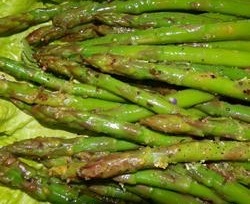 Directions: Snap the bottoms off the stalks of asparagus and wash the stalks.Place asparagus in a steamer (microwave or stovetop) with water and steam several minutes until just bright green. The stalks should still be crisp. Plunge in cold water for one minute to stop the cooking, then remove to a colander. Press the clove of garlic through a garlic press into a small bowl. Add the mustard, herbs, and lemon juice or vinegar, and whisk to combine. Drizzle in the olive oil slowly, whisking as you go. Add salt and freshly ground black pepper to taste. Dry the asparagus with a clean dishtowel and cut it into inch-long segments. Place asparagus pieces in a bowl, add the dressing, toss, then add all to a green salad. You can also serve the asparagus as a side salad by arranging the stalks pointing in the same direction on a plate. Pour the dressing over them, then roll the stalks to coat them. 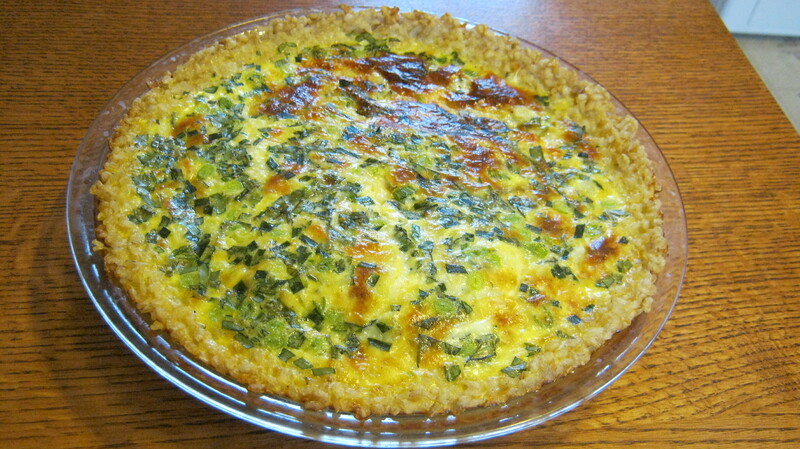 Directions:Use your clean fingers dipped in water to press the rice into a glass pie dish, about 1/4 inch thick. Make sure you press it all the way up the sides. Remove the rough outer leaves of the spring garlic. Chop the white section and as much of the green as is tender. In a small mixing bowl, beat the eggs with a fork.Add the rest of the ingredients and blend with a fork. Bake in a preheated oven until golden brown and a knife comes out clean in the center, about 35-40 minutes. Let cool ten minutes before serving. Can also serve at room temperature. Serve with a freshly picked green salad and a cool glass of white wine. You can use a conventional pastry (non-sweet) pie crust if you prefer, and swap in whatever fresh herbs and vegetables you like. With larger chunks, like broccoli florets, reduce the milk by ½ cup. Lots of wonderful sounding recipes, Edith! Looking forward to making some. I look forward to making the asparagus recipe this week, it looks really yummy. I also want to make the Roasted Root Stew featured in “Farmed and Dangerous”. I have a question, I’ve never cooked with habanero before, just how strong is the heat? Thanks, Karen! Habaneros are very, very hot. If you’re going to cut one, do it with gloves on or use a fork and a small sharp knife. You have to be careful touching them and then touching your eye. I speak from experience.